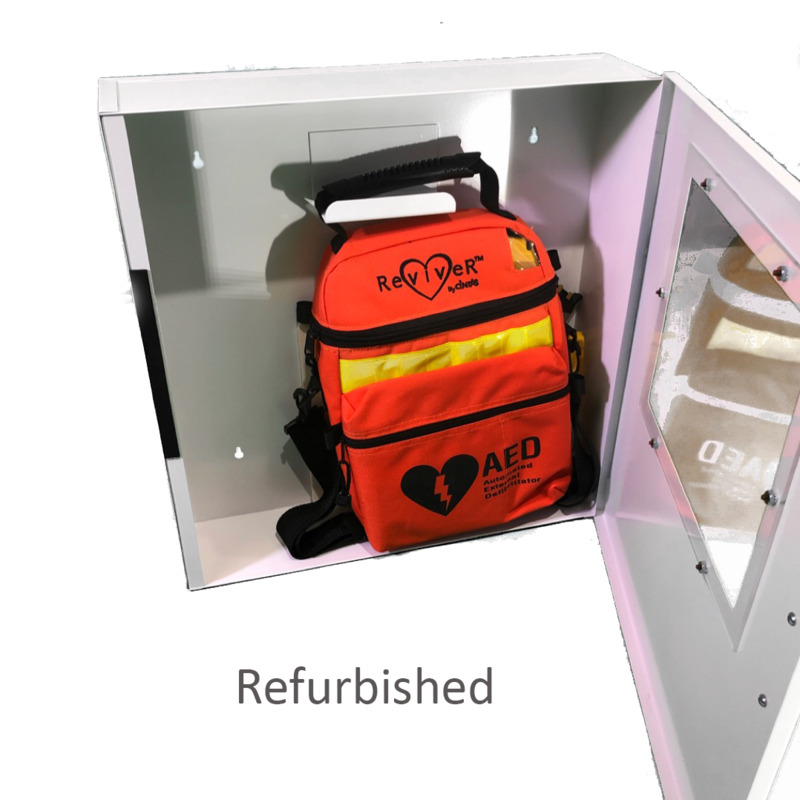 Designed for use by lay responders, the Reviver AED station has a metal case and prep kit that has never been used. Designed for use by lay responders, the ReviveR® View AED has no lids, moving parts or cases — just two buttons with pre-connected pads. 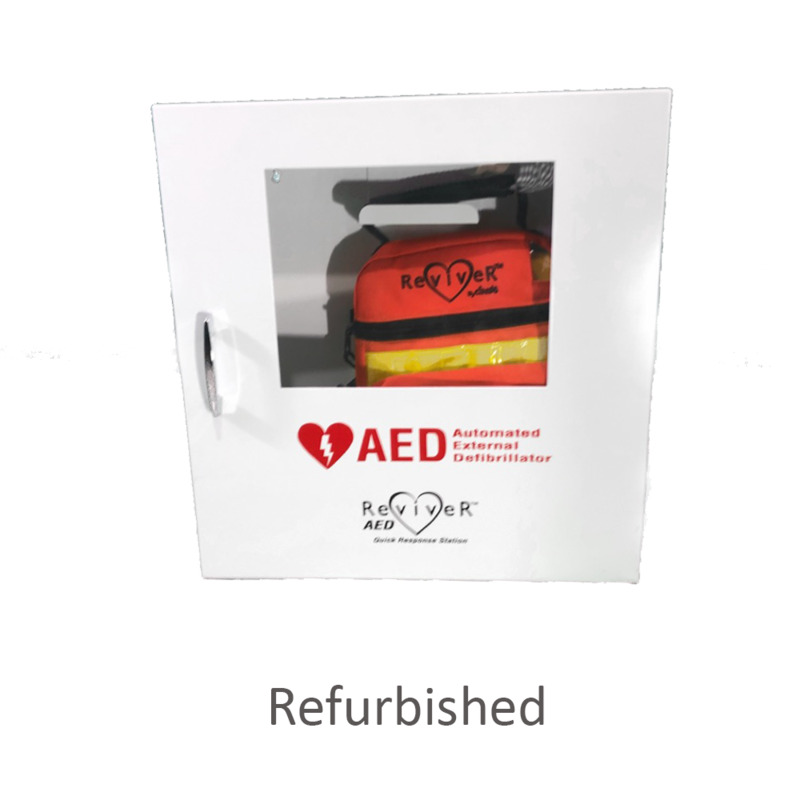 The ReviveR® VIEW automated external defibrillator is the first and only AED on the market to use digital video to show how to save the life of a sudden cardiac arrest victim in real-time. Using the ReviveR® View is like having a personal coach at a rescuer’s side. Interactive videos supplemented by easy-to-read text and voice prompts show the rescuer everything from how to apply the defibrillation pads to how to deliver the shocks to the sudden cardiac arrest victim. Continuous monitoring of the heart detects if the patient's heartbeat recovers and determines whether or not to deliver a shock.